Does the library have access to any sound effects sources? - Ask Us! Q. Does the library have access to any sound effects sources? There are a couple of sources for locating sound effects. The Makerspace has Mac computers with Garage Band installed on them. Garage Band comes with sound effects. Check with the Makerspace to find out what version of Garage Band is available. 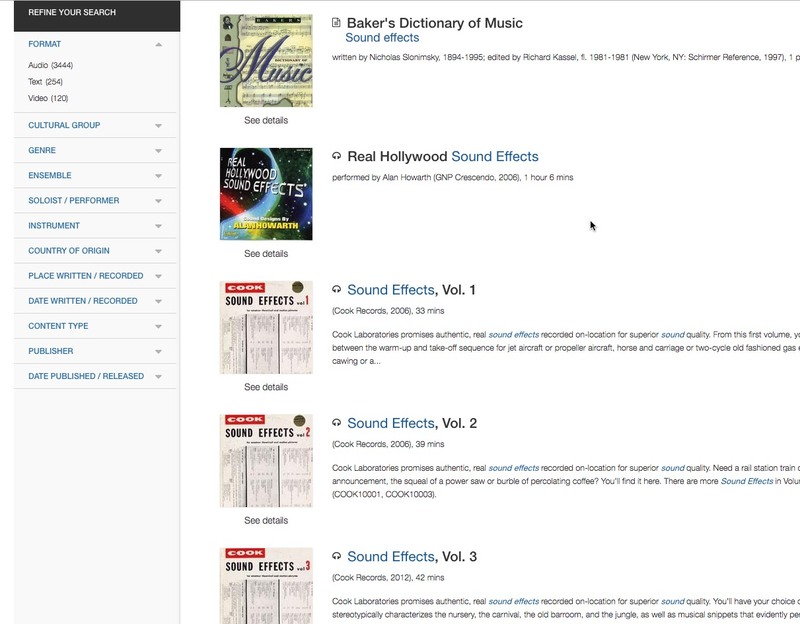 Alexander Street Press Academic has sound effects available online. Type "sound effects" in the "Search all content" box to the right. The results display on the screen. You can refine your search by choosing from formats on the left.